Navarra export catalogue - Bodegas Corellanas, S.L. 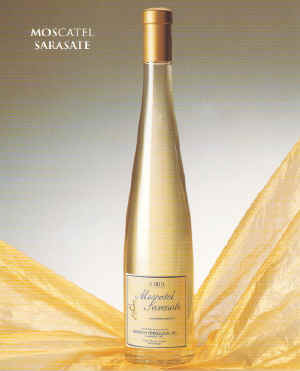 Is anatural sweet wine made from muscatel grapes of the small Petit Grain type, from our own vineyards in Tambarria, 38 years old. It is obtained in late vintage from raising grapes, with a great content in beaume and potential aroma. Is a natural sweet wine with a very brilliant light yellow colour with golden sparks, with a great aromatic sensation, well balanced and with perfectly equilibrated acidity which gives a fruity sensation , with a generous aftertaste. Red wine comes from Cabernet Sauvignon, Merlot y Tempranillo varietes, keeping it for 12 months in American and French oak barrels, and at least 24 months in the bottle. This wine has a cherry-red colour with tile and amber shades. The aroma has a great fineness with mature fruits combined with the wooden breeding. It has fleshy, wel structures flavour, with a long lasting end. 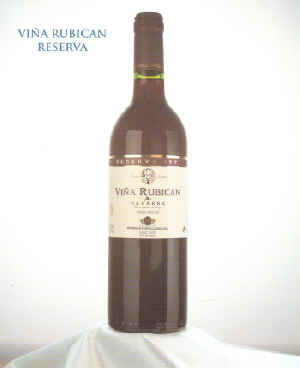 It is a perfectly balanced wine with the mature and soft tannins that fills the palate with pleasant sensations. 85% Tempranillo and 15% Garnacha varietes from our own vineyards. This wine has a medium-high level ruby red colours. The aroma starts with the variety definition , well accompanied later by a soft torrified and finishing with a touch of liquorice.